Have you ever asked yourself why perishable food have expiration dates? The easy answer is so you know when it goes bad, so you can throw it out and not get sick. The other reason they exist is so you know to consume all of the food before the date approaches. At the beginning of every year, dental insurance benefits reset. Many people still have benefits to use as the end of the year approaches. Unfortunately, they do no roll over from year to year. Here’s why you should see your dentist in Temple at Fossum Dental Group before the end of the year. Many dental insurance plans cover people up to a certain dollar amount annually. This allows them to space out visits throughout the year and still be covered. These benefits reset every year and many people don’t use them before they inevitably run out. Dental insurance companies make millions of dollars from unclaimed benefits every year. It is certainly not in their best interest to alert you that you have unclaimed benefits. Most people also do not take the time to study their plan and see how much money they may have remaining. The end of the year holidays are also an especially turbulent time, as family and social obligations begin to eat up your calendar. 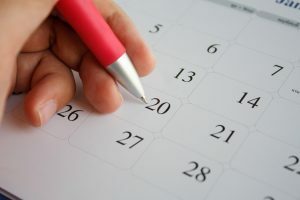 It is easy for people to put off and skip dental appointments during this time. This is unfortunate, because it may cost them more as time goes on, both monetarily and health-wise. It is best for you to try and use all of the benefits that you can so you can get the most out of your plan. Plus, having a pressing dental issue during the holidays is the last thing anyone wants, so best to get on top of it and visit the team at Fossum Dental Group before the festivities really start. Try and give yourself one less thing to stress about. We’re happy to accept most major PPO dental insurances. We might even be in-network with your plan even if it isn’t listed here, so please give us a call if you don’t see it. You pay for dental insurance benefits, so you should use them! Come see us today so you can get the benefits you are entitled too.